Conference Table - From 8 Ft To 20 Ft! 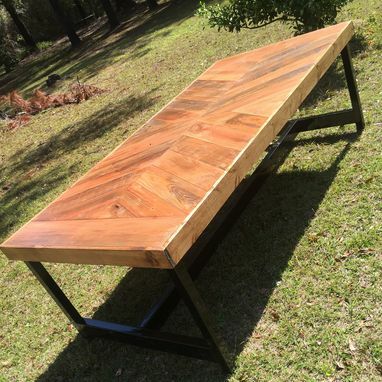 This conference table is for an office in Louisiana! It is made from reclaimed redwood with an accent of carbon metal legs! 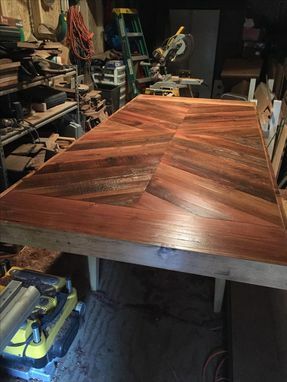 This table was 8 feet long, but we can create it as long as you need it! We're thrilled with the custom conference table we ordered from Coastal Country Creations. Everyone comments what a beautiful table it is. Most importantly, Lisa was remarkable to work with. She was super responsive and helpful throughout the process of placing the order and having it delivered. I can't recommend Coastal Country Creations highly enough and look forward to having another chance to work with them!